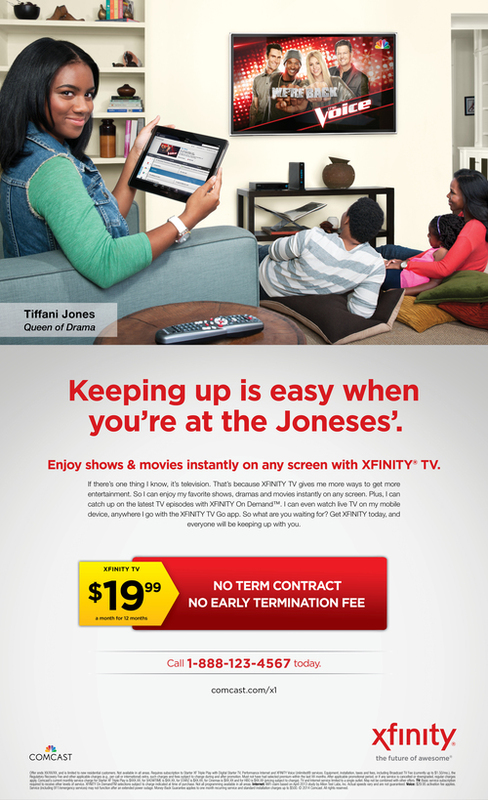 This campaign demonstrates how XFINITY fits seamlessly into your life no matter where you are or what you are doing. 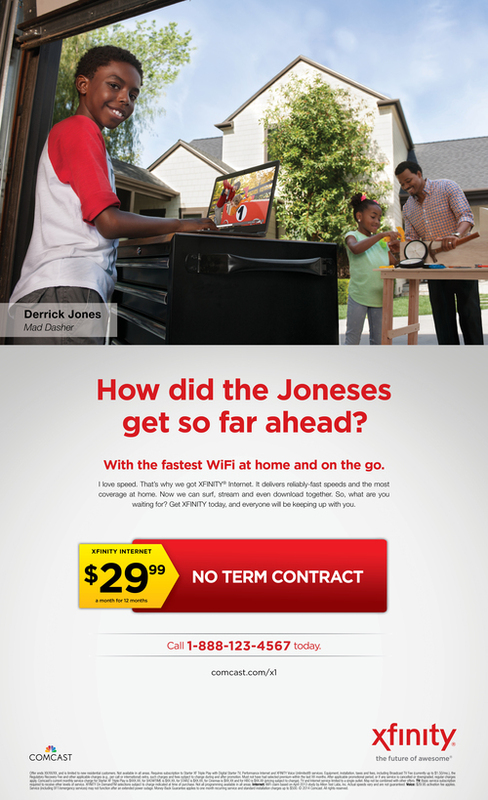 Everyone is trying to keep up with the Joneses, but how’d they get so far ahead? The speculations are far and wide, but the answer is simple. 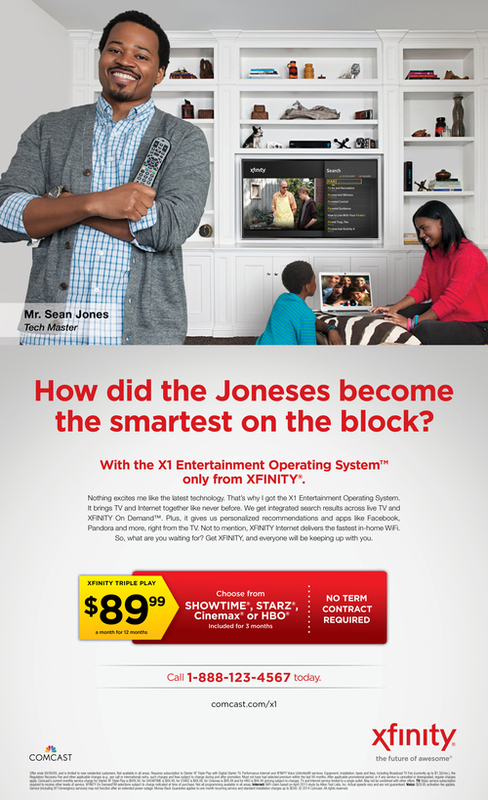 XFINITY. 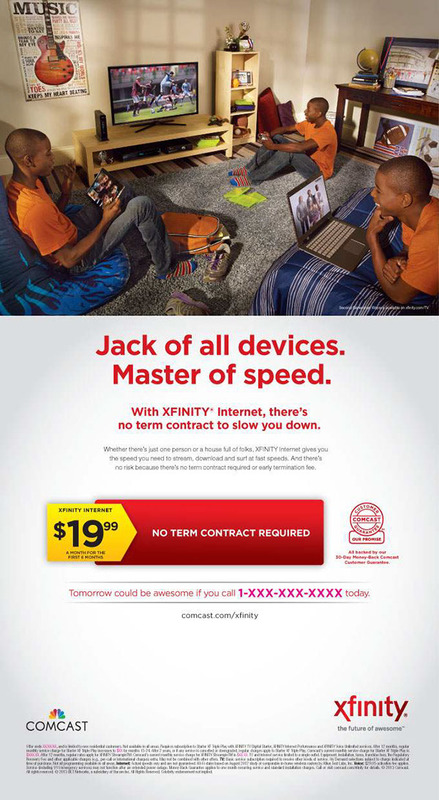 One taste of the fastest Internet from XFINITY, and their lives have taken off ever since. 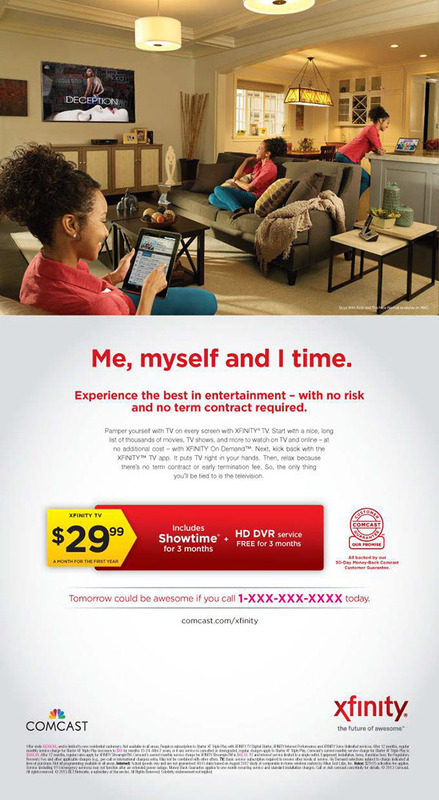 So get XFINITY and everyone will be keeping up with you. Sometimes life gets so hectic, you wish there were more "yous" to get it all done. 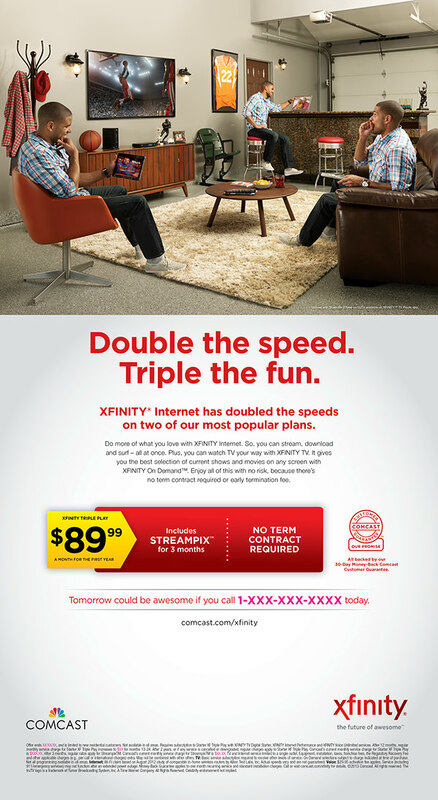 Well, XFINITY delivers the fastest Internet and best in entertainment to keep up with you and all your devices. So, you can do all the things you love – all at the same time.